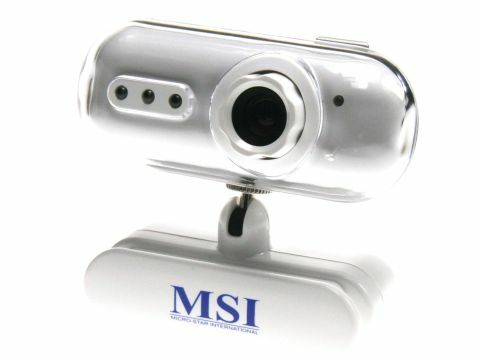 While many laptops these days have webcams fitted as standard, the MSI StarCam Clip (£15 inc. VAT) provides a versatile option for those that don't. Clipping on to your laptop screen, the 1.3-megapixel camera installs quickly and easily. With its built-in microphone, use is made all the more simple. Infrared technology improves usability in darkened rooms or when outdoors at night. Picture quality is good, but settings need tweaking for optimum performance. My Guard video security software comes as standard, allowing the StarCam to act as a security camera. Detecting movement within its field of vision, it alerts you when people wander in front of the lens, and you can secretly keep your desk monitored. While smaller cameras can be bought, this is nevertheless an effective and affordable option for your laptop.